You are currently browsing the tag archive for the ‘Michael Hastings’ tag. Twelve hours later Boylan was on CNN telling Anderson Cooper the same talking points. No one challenged Boylan or even asked if the general would be willing to testify about the timeline under oath. When did they go “All In?” The wrong answer could lead to a court-martial. For all the embarrassing details that have surfaced so far, earlier reports at least marked his appointment as CIA chief as the end of his extramarital affair, showing somewhat a more sober frame of mind. So why would he send Steve Boylan out with a story to specifically refute that point? I suspect it’s all about Article 134 which covers the crime of committing adultery under the Uniformed Code of Military Justice (UCMJ) The penalty? Court martial, dishonorable discharge, forfeiture of pension, even confinement. Petraeus seems to have been controlling his press image for decades as telegraphed years ago in his Princeton dissertation unearthed by journalist Michael Hastings. Hastings is best known for his bold reporting that ended the career of Gen. Stanley McChrystal, the predecessor of General Petraeus. He has written best-selling books and now digs into “The Sins of General Petraeus,” for BuzzFeed.com. Hastings calls Petraeus “world class bullish** artist,” and details many of the ways he sees Petraeus has manipulated the media. As the scandal unfolds, a pattern does emerge. Before Paula Broadwell, biographer Linda Robinson wrote a glowing biography of General Petraeus and widely publicized it. He then hired her to work for him at U.S. Central Command. Before Paula Broadwell, Petraeus spent time charming his first female biographer, Linda Robinson a highly regarded former national security and military reporter with U.S. News & World Report. Just as he broke the ice with Paula Broadwell, the general got to know Robinson on runs in Afghanistan and in 125-degree heat. Both journalists were ultimately welcomed in to his inner circle, deemed fit for duty to tell his personal story. In 2008, Linda Robinson wrote her take on David Petraeus and his war record: Tell Me How This Ends: General David Petraeus and the Search for a Way Out of Iraq. After the book came out he rewarded her with a post alongside him at U.S. Central Command. There is no suggestion that Linda Robinson and David Petraeus had an affair; the similarities between her and Broadwell raise more questions about the development of a media cult around him. 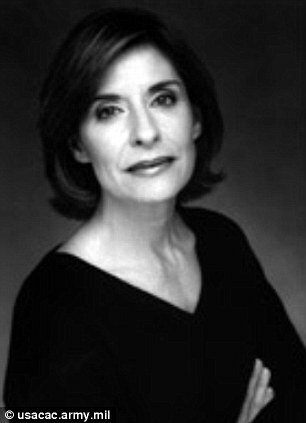 Linda Robinson, 58, is currently an adjunct senior fellow on foreign policy at the Council on Foreign Relations and is a Nieman fellow at Harvard University. She has also been a senior editor at the respected Foreign Affairs magazine and her work has appeared in the New York Times, theWashington Post and a string of policy journals. She has helped spread the gospel of General Petraeus. In a series of interviews she also heaped praise on the man himself, including one in 2008 with NPR in which she expressed her affection for him, not dissimilar to the words of his second biographer, Paula Broadwell. So, we now ask: through what prisms have we been viewing the general? Has he mastered relationships with selected reporters to portray him as a man of military brilliance, honor and integrity. “How did Petraeus get away with all this for so long?” Michael Hastings asks. The media, either for access or straight up cash (laundered through an organization Petraeus started called Center For A New American Security or CNAS), gave favorable reports or used quotes from unnamed sources which painted favorable pictures for one such strategy or another. (CNAS) put the journalists who were covering those same plans and policies on its payroll. For instance, New York Times Pentagon correspondent Thom Shanker took money and a position from CNAS and still covered the Pentagon; Robert Kaplan, David Cloud from The Los Angeles Times, and others produced a small library’s worth of hagiographies while sharing office space at CNAS with retired generals whom they’d regularly quote in their stories. Since the Petraeus/Broadwell affair scandal broke, all gloves are off; new investigations are underway into a possible abuse of power by Petraeus, unchecked until now –taking a girlfriend on a private military jet for his round-the-world “goodbye tour,” reportedly traveling with rock-star-worthy entourages that includes a CIA assistant assigned to provide fresh water and pineapple on his morning runs? It’s a tough balancing act, but it’s now the time for beat reporters to dig deeper, take off the kid gloves that have protected their access at the expense of what the rest of us need to know.